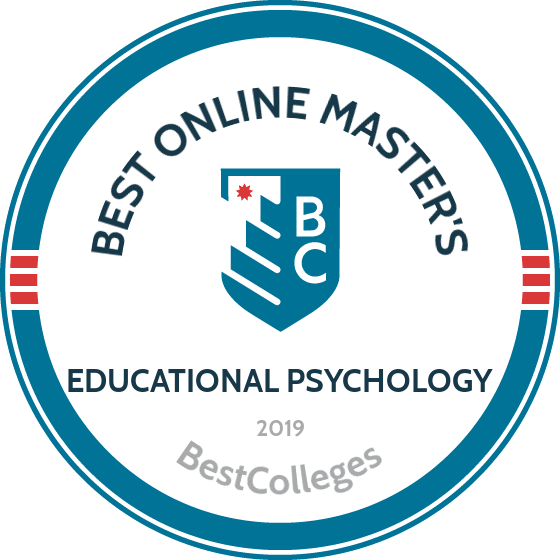 What Are The Best Online Master's in Educational Psychology Programs? What Else Can I Expect From an Online Master's in Educational Psychology Program? An online master's in educational psychology prepares students to enter the exciting world of human development. Degree-candidates become experts in the field of research and work closely with industry professionals to conduct groundbreaking analyses. Students select a specialization to further their knowledge and capabilities. Graduates often join the public school education system as instructors and researchers. The Bureau of Labor Statistics projects a 19% job growth rate for psychologists within the next seven years. Learners who hold an online master's in educational psychology boast high-earning potential. The University of Georgia (UGA) is located in Athens, Georgia, about an hour northeast of Atlanta. Chartered in 1779, UGA is an institution of exceptional higher education. The online master's in educational psychology, applied cognition and development is offered through UGA's college of education. Students can specialize their degree by choosing a secondary focus in learning with technology, learning across the lifespan, qualitative approaches to education, or development of high intellectual capability. Students can take UGA's 34-credit curriculum online in an asynchronous format that allows them to complete course requirements on their own schedule. On average, the program takes two years to complete. Tuition is $629 per credit regardless of a student's state of residency. The curriculum covers a variety of topics including cognition, research methods, and human development in education. Graduates typically work in educational, training, or research support positions in schools, the military, or at universities. UGA is accredited by the Southern Association of Colleges and Schools Commission on Colleges. Applicants must have a bachelor's degree from an accredited program and a minimum 2.6 GPA. Additionally, applicants must submit their GRE or MAT score, three letters of recommendation, a statement of purpose, and transcripts, along with a completed graduate school application. The University of Illinois at Urbana-Champaign is located in the twin cities of Urbana and Champaign. The school is one of the original 37 public land-grant institutions created after President Lincoln signed the Morrill Act. Originally founded in 1867 as the Illinois Industrial University, the school became the University of Illinois in 1885. The online master of education in educational psychology is delivered in a synchronous format. This format gives students the convenience of studying from anywhere, although they must log in at designated times to attend class. Additionally, students must log in to the classroom portal at least once every 72 hours to maintain their active status in the class. The 32-credit program takes about two years to complete and costs $473 per credit hour regardless of state of residency. The core curriculum consists of a variety of courses including educational statistics, technology and educational reform, econ analysis and ed policy, principles of measurement, and evaluation in society. Coursework prepares students for careers as researchers, educators, counselors, and testing specialists. Applicants must have a bachelor's degree from an accredited university and a 3.0 minimum GPA. The master's program does not require standardized test scores, but applicants should submit at least three letters of recommendation. The University of Illinois is accredited by the North Central Association of Colleges and Schools. Florida State University (FSU) was founded in 1851 in Tallahassee, Florida. The school is Florida's oldest continuous site of higher education and offers 301 programs on campus and online. FSU is accredited by the Commission on Colleges of the Southern Association of Colleges and Schools to grant associate, bachelor's, master's, and doctoral degrees. The master's degree in educational psychology: learning and cognition is a 33-36 credit program. Students can pursue the thesis or the exam track, which culminates in a comprehensive exam and is a terminal degree; however, only the exam track is available in the online format. If prospective students want to explore practical research training or plan to pursue a doctorate, they should consider the thesis track. The exam track coursework covers topics such as cognition and perception, theories of social psychology, and alternate views of teaching and learning. The program prepares students to evaluate educational research and apply theories to support human learning. Applicants must have a bachelor's degree from a regionally accredited university and a 3.0 minimum GPA. Prospective students must also submit GRE, GMAT, or MAT test scores along with three letters of recommendation, a personal statement detailing the applicant's purpose in pursuing the master's and long-term career goals, a resume or curriculum vitae, a writing sample, and official transcripts. Marist College's original campus is located in the Hudson River Valley in Poughkeepsie, New York. The school offers a second campus in Florence, Italy. Marist College's master of arts in educational psychology is offered on campus, through a hybrid model, and as a five-year BA/MA program. Marist College is accredited by the National Council for Accreditation of Teacher Education and is a member of the Association for Advancing Quality in Educator Preparation. The master's in educational psychology is a 36-credit program that meets the academic requirements for New York State Professional Teaching Certification. Students can choose between two tracks. One track prepares students for Professional Certification in Childhood Education for grades 1-6 and the other prepares students for Professional Certification in Adolescent Education for grades 7-12. The hybrid option requires students to attend two one-week summer sessions and complete the remaining requirements of the educational psychology master's program online. Students can also select the five-year BA/MA model. This option is open to students enrolled as undergraduates in the psychology and dual-certificate education program who want to earn their bachelor's in psychology, New York Initial Teaching Certificate, and master's in educational psychology in an accelerated format. In addition to coursework, all students must develop, present, and defend a multimedia electronic portfolio in accordance with the National Board of Professional Teaching Standards. Applicants must submit a resume, personal statement detailing their educational background and goals, two letters of recommendation, and interview with the program director. Situated in Muncie, Indiana, Ball State University was founded in 1918. The school's research-based master's in educational psychology online is geared toward professionals in human development or education-related fields. This program prepares students to pursue a doctorate, or work as an educator, developmental specialist, or professional evaluator or researcher. Ball State University is accredited by the Higher Learning Commission. Ball State University's master's in educational psychology is offered 100% online with no on-campus requirements. The school uses the asynchronous format for its online programs, giving students the flexibility to complete course requirements on their own schedule. The tuition rate is $410 per credit for in-state residents and $616 per credit for out-of-state residents. To qualify as an Indiana resident, students must have lived in the state for at least 12 consecutive months or have moved to the state for reasons other than school, such as relocating for a job. This 30-credit program takes about 18 months to complete. In addition to core coursework, students can select a focus in one of the following specializations: gifted and talented, human development, neuropsychology, or applied behavior analysis. Students can also specialize by selecting four courses from a department-approved list of courses. These concentrations allow students to gain in-depth knowledge that is relevant to their interests and career goals. Applicants must maintain a minimum 2.75 GPA and hold a bachelor's degree from an accredited university. In addition to a completed application, applicants must submit a personal statement, two professional references, and a resume or curriculum vitae detailing past education or work experience. The University of Missouri-Columbia (MU) was founded in 1839 in Columbia, Missouri, and was the first public university west of the Mississippi River. MU is one of only 60 universities that holds membership in the Association of American Universities. The school is accredited by the Higher Learning Commission and Teacher Accreditation Council. MU offers an online master of education in educational, school, and counseling psychology with an emphasis in educational psychology. This fully online, 33-credit program takes about two years. Students pay $433 per credit regardless of their state of residency. Coursework provides students with the tools they need to create better instructional methods, motivate at-risk students, and apply concepts of positive psychology to facilitate learning. The program is geared toward educators looking to enhance their understanding of the process of student learning and advance their careers. Applicants need a bachelor's degree from an accredited university and a 3.0 minimum GPA. In addition to a completed online application, applicants must submit transcripts, a resume, three recommendation letters, and a personal statement detailing previous teaching or instruction design experiences and career objectives. Located in Tuscaloosa, Alabama, the University of Alabama was founded in 1831 as the state's first public university. The University of Alabama offers a variety of graduate programs including an online master's degree in educational psychology in learning and assessment. The school is accredited by the National Council for Accreditation of Teacher Education. Students can take the 30-credit program online. Geared toward both educators and non-educators, the program's coursework covers a variety of topics including statistical methods in education, educational psychology, lifespan development, evaluation of classroom learning, and social and cultural foundations of behavior. These courses teach students about cognition and learning and help them develop program evaluation skills that prove valuable in a variety of industries. Graduates often work in education, government, counseling, or business. This program does not lead to certification, but is a good transitional degree if students want to pursue a doctorate or other specialization. Applicants must boast a 3.0 minimum GPA and a minimum score of 300 on the GRE or be in the 50th percentile on the MAT test. Other requirements include official transcripts and test scores, three letters of recommendation, a personal statement, and a completed graduate application. The University of Tennessee-Knoxville (UTK) was founded in 1794 and sits in the town of Knoxville. The school has been continuously accredited since 1897 by the Southern Association of Colleges and Schools Commission on Colleges to award bachelor's, master's, and doctoral degrees. UTK offers a master of science in educational psychology online. The program uses a synchronous format, which means students must log in at designated times to attend class virtually. Although the school maintains on-campus requirements, students can complete coursework and attend classes from any location. The 36-credit program takes about two years to complete. In addition to the core curriculum, students can choose one of two concentrations. The adult education concentration focuses on program development, adult learning and development, and professional issues in working with adults. The applied educational psychology concentration focuses on models of educational psychology and teaches basic techniques to create effective learning environments. This degree prepares students for careers in a variety of industries including education, business, or the government. The degree also serves as a stepping stone to a doctorate. Applicants must hold a minimum 2.7 GPA and bachelor's from an accredited university. Applicants must also submit a resume, letter of introduction, transcripts, a statement of goals, and three recommendation letters. UTK created this program with specific requirements designed to be taken over six semesters. Before applying, students should ensure they can commit to the program schedule. Also, students cannot enroll in any on-campus courses if they are enrolled in the online master's of science in educational psychology. The University of Northern Colorado (UNCO) was founded in 1889 and is situated between the Rocky Mountains and Colorado's iconic high plains in Greeley, Colorado. The school offers a master's in educational psychology that students can take on campus or online. UNCO is accredited by the Higher Learning Commission. The online master's in educational psychology requires students to complete 30 credits over five consecutive semesters. In the final semester, students complete a comprehensive exam which includes writing a paper applying program concepts to a topic or issue relevant to their profession. The program uses the latest research on teaching and learning concepts to prepare students to work in school districts, departments of education, or other educational-related organizations. UNCO also offers an accelerated program that allows students to earn a bachelor's in psychology and a master's in educational psychology in five years. This track allows students to begin graduate coursework in their junior or senior year, but pay the undergraduate tuition rate. Students can transfer in to this program, but must have a minimum 3.0 GPA and meet with an adviser to determine transfer credit eligibility and create an academic plan to fulfill the remaining program requirements. Applicants need a bachelor's degree from an accredited university and a minimum 3.0 GPA. They must also submit three recommendation letters and a letter of interest explaining how UNCO's program aligns with their career goals. A resume with education-related work experience is desirable. The University of North Texas (UNT) is located in Denton, Texas, amidst a bustling metropolitan area that offers a variety of entertainment, shopping, and job opportunities. Since its founding in 1890, the school has grown to be one of the nation's largest public universities. UNT is accredited by the Southern Association of Colleges and Schools Commission on Colleges. The online master's degree in educational psychology with a concentration in gifted and talented education requires 33 credits and takes about 15 months to complete. The fully online program follows an asynchronous format, giving students the flexibility to schedule coursework around other responsibilities. Students who work as full-time educators can tailor the program to their schedule by taking four accelerated courses over the summer and two courses during the fall and spring terms. The program prepares students to take the Texas Examination of Educator Standards and earn the Talented Supplemental Certificate. Students can also earn the Graduate Academic Certificate in Gifted Education if they apply for it when they enroll in the program. The University of North Texas also offers this degree with a concentration in research and evaluation. Two steps exist in the University of North Texas application process. First, applicants must apply to the Toulouse Graduate School, which requires official transcripts and a completed application. Applicants must then complete the application process for the UNT department of educational psychology program. This requires applicants to submit GRE scores, two letters of recommendation, a resume, and a personal statement detailing their career goals and any previous work or education experience. Each online program features a unique curriculum designed to teach specific course objectives and learning outcomes. Online master's degree in educational psychology curriculums are comprised of core courses, specialization courses, and a capstone requirement. Programs also require enrolled students to complete a minimum number of credit hours. Details vary based on the school and program chosen. While program details vary by school, below readers will find an assortment of sample curricula. This sample includes core courses you can expect to encounter while enrolled in an online master's in educational psychology program. Introduction to Educational Psychology: This introductory course is a core component of the master's in educational psychology curriculum. Students explore the basic learning principles and motivations that drive human development. Degree candidates learn the premise of educational psychology and its teachings. Graduates go on to design curriculums, study learner performance, and pedagogy. Lifespan Development: Lifespan development courses center on the development of learning process among human beings from infancy to adulthood. Learners study theories that address the processes humans go through to reach learning milestones. Students analyze human development and the relationship between education and the human brain. Degree candidates apply this knowledge to their specialization. Ethics and Multicultural Issues in Psychology: Learners explore the impact ethnicity, socioeconomic status, and gender have on an individual's educational outlook. Students learn how these elements affect the pupil's objectivity. Degree candidates analyze issues that plague different cultures and the impact they have on learning capabilities. Learners study the application of ethical principles to different environments. HOW LONG DOES IT TAKE TO GET AN ONLINE MASTER'S IN EDUCATIONAL PSYCHOLOGY? The time it takes a student to complete an online master's degree in educational psychology depends on credit requirements, enrollment status, and individual pace. Minimum credit requirements vary by school and some programs require more credit hours than others. Programs may also require that students complete a capstone or research program for graduation. Learners choose to enroll as full-time or part-time students. Compared to part-time students, full-time students complete a heavier courseload and take less time to complete their degrees. Most programs allow students to transfer credits from approved courses, resulting in shortened program lengths. On average, students complete approximately 30 to 50 credit hours or 10 to 12 courses before earning their master of education in counseling psychology. Many online programs are individually-paced or cohorts. Individually-paced programs allow students to work on assignments individually and communicate primarily with the program instructor. Cohort-learning groups are comprised of students that work together to complete assignments and projects. There are three primary types of program accreditation: regional, national, and specialized. Of the three, regional accreditation is both the most prominent and common. All state universities and colleges in the United States and colleges take the steps to earn regional accreditation. Six agencies oversee the regional accreditation process and preside over each region of the United States. All regional accreditation agencies are recognized by the US Department of Education (ED) and the Council for Higher Education Accreditation (CHEA). Tuition at regionally accredited schools can be costly but students are eligible to receive federal financial aid. National accreditation is common for technical and vocational schools. Accreditation agencies evaluate institutions every three to five years. Learners may experience difficulty transferring credits from these schools to regionally accredited institutions (for example, schools may reject transfer credits earned at nationally accredited institutions). Agencies award specialty accreditation to qualifying programs that focus on a specific industry, such as a master's in educational psychology. A federal agency, the ED oversees the allocation of federal funds to school programs, and enforces federal standards and guidelines. The ED works closely with CHEA to monitor accreditation agencies and schools. To find a list of accredited schools, please visit the ED or CHEA website. Graduates who hold a master's degree in educational psychology go on to work at colleges, universities, research organizations, and government institutions. Their knowledge affords them the opportunity to work with instructors, researchers, and administrators to analyze and develop effective student assessments and curricula. Graduates enjoy employment options that range from creating educational technology to human development research. Degree candidates enter specialty fields that notably impact the research community and significantly advance learning objectivity. Research assistants work at universities or research institutes to conduct academic research, and work under the supervision of a principal investigator to analyze and develop efficient data. They may benefit from the opportunity to teach at the university while pursuing their postgraduate degree: research assistants may be hired as temporary contractors of the university. Test developers create questions and passages for student assessments. Questions focus on subjects such as English, mathematics, science, and history. Usually, test developers have a background in teaching, instruction, or curriculum design, and find employment with individual companies, districts, or agencies. Some developers create software programs for educational purposes. Educational program managers work with other directors to execute educational strategies. Managers create programs that adhere to an institution's academic guidelines and identify program outcomes, goals, and objectives. They review program data, report data findings, and ensure program standards meet accreditation guidelines. Curriculum developers create instructional materials and educational programs for teachers and administrators. They work closely with schools and educational organizations to develop effective materials. Curriculum designers have experience managing educational professionals or instructing classes. Developers boast strong technical writing skills and knowledge of the latest educational technology. Instructional activities managers improve the effectiveness of lesson plans and educational programs. They strive to develop learning activities that engage students while helping them process information, and implement techniques based on lifespan development and multiculturalism. Instructional activities managers also identify learning objectives that can be met or surpassed by students. The median salary for graduates with a master's in educational psychology depends on experience, chosen career path, and location. Working professionals in the research world (such as research assistants) tend to have lower salaries due to the short-term nature of the position. Graduates involved in test development and curriculum design enjoy a higher earning potential due to their knowledge of computer and educational technology. Many educational psychology jobs require applicants to possess multiple skills with instructional or management experience. Prerequisites determine potential salary negotiations. The table below lists common career options for graduates with an online master's degree in educational psychology. Students pursuing educational psychology master's programs online choose from a variety of finance options. Working professionals who desire to apply for federal grants and loans should do so by completing the Free Application for Federal Student Aid (FAFSA). The FAFSA requires income tax information and must be completed by the given deadline for consideration. Students seeking private loan options or scholarships should research private loan companies, which may be available to learners pursuing a master's in educational psychology. The American Psychological Association (AMA) website features a list of scholarships.